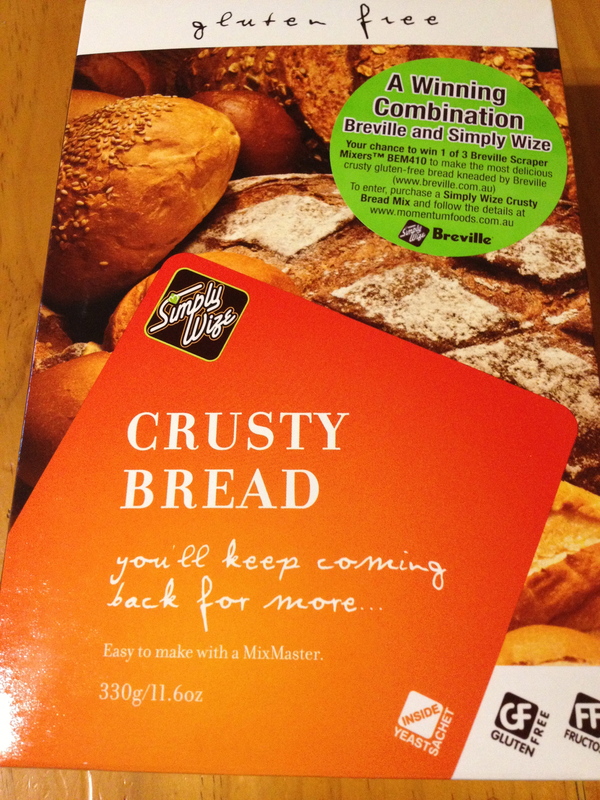 I’ve found a wonderful gluten free bread that tastes delicious, is easy to cook and slices nicely. Even better, you can buy it at the supermarket. 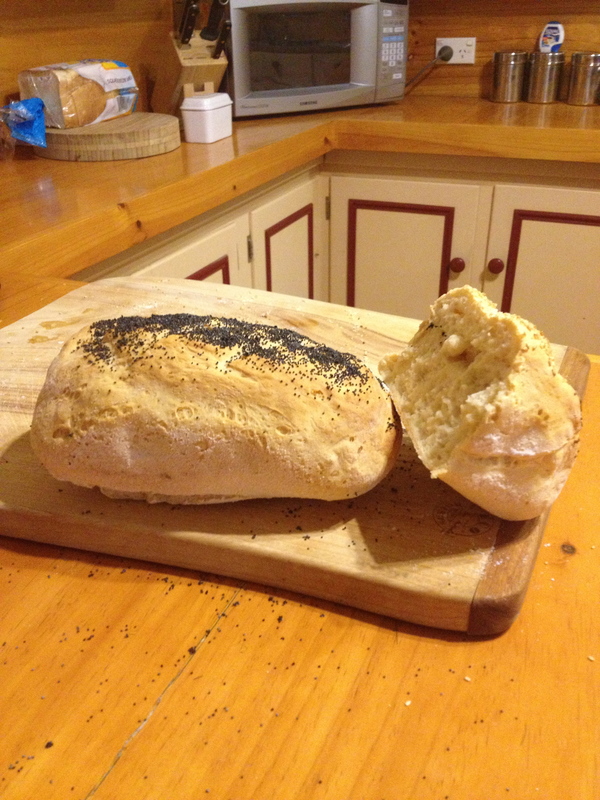 Fresh out of the oven with a few slices gone for our lunch. Even Dave likes it, and he’s “Gluten Free Intolerant” supposedly! 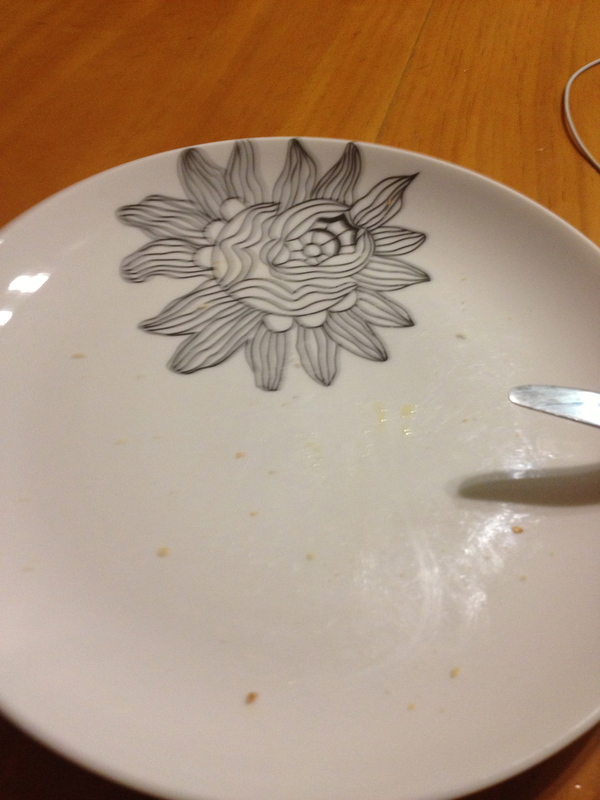 And here’s an empty plate. Empty because I ate the chicken sandwich I’d made with the fresh-from-the oven bread before I remembered to take a photo. 2. Combine dressing ingredients in a screw top jar. Shake and mix through salad.